If we look back, nobody, especially bloggers would have thought that one day they would be integrating their work into the dynamic social media platform. For instance, the blogs are used as a pro to promote business in the online market. Writers are hired, paid to promote the brand and business with quality content and bring traffic to the website. 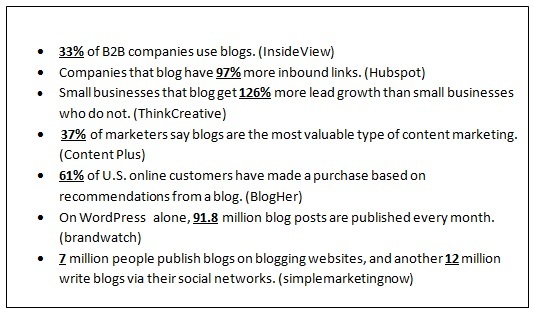 So, you see blogging is no longer a personal activity; it is being used for brand development, for business promotion. Why Use Social Media Platforms for Blogs? The customer base is very crucial when it comes to brand development. And when it comes to building an audience; bloggers have to use social media platforms. Now it’s no secret that social media platforms have a huge influence on SEO and online marketing. The number of shares implies the number of people preferred your content online and search engines will acknowledge that with organic traffic. We have Twitter, Facebook, Google+, and Instagram, which is currently the most favored. Each of these social media platforms has a good user base. If you strategically promote your blogs here, the likes and shares you earn will help you develop a good customer base for your business. Now before we learn about how we can integrate blogging with social media platforms, let’s learn some basics of social media marketing. Here’s something that would hit your senses. Promoting blogs on social media platforms, bloggers can experience better visibility, popularity, traffic, and conversions. Well, this is what I refer to as an aerial view. It’s not as easy as it appears. There is too much competition. I listed those stats just to make you aware of the reality. Blogs and social media platforms are complementing well. They are being used by every other brand. If point number 1 gives you hope, the other one clearly gives you a dip in cold water. Both are different. Both are powerful. You have to use them accordingly and make things work for you. How to use Social Media & Blogging & Increase Customer Base? Facebook, Twitter, Google+, Pinterest, LinkedIn, well, do you post blogs on every one of these social media platforms? No, of course, you should not. You should choose one or two and not more than that. Picking the right social media platform indicates you have identified right audience and know where you can find them the most. If your blog posts are focused on professionals or business subjects, then you can post them on Google+ and LinkedIn. In case the content is centered on visual form, then Facebook and Pinterest should be your posting place. A piece of content designed differs for each target group. Hence the platform should be chosen wisely and appropriately. 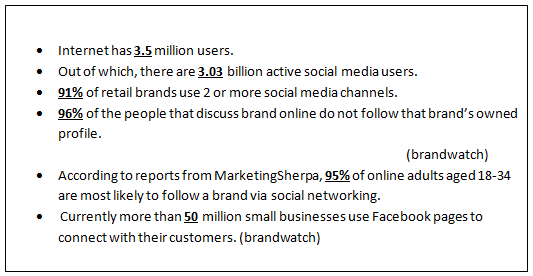 By reading the stats above you should by now know that we have tons of customer’s social media data at our call. You can collect feedbacks, comments, shares, likes, and other stuff and drive your marketing strategy. Doing so, you can send promotional content to customers and engage them for a longer time. You sell medical equipment and there are lots of things people will not know. You may have a website, but it is too small or tiny to convey every point. And that is where your blogs will help you. When you develop high-quality content about your medical device and services, it is not a smart move to share every piece on the social media platform. Not every follower would be happy to read complicated stuff. Instead, if you put them on blogs, only interested will find your blogs useful and you will have qualified followers. You should neither surprise nor disappoint your readers. Maintaining blog posting schedule should be your priority no matter what. People, if they have started to like your blogs, would love you hear from you often and at the same time. Moreover, adding fresh content daily, search engines will index more. Ore frequently your blogs get crawled and indexed; your chance to rank will be higher. So, it’s not just to appease readers, but the search engines as well to rank better. Because a good SEO rank brings more traffic and customers. Show your blog readers that you are very social. When you are sharing information, it’s necessary you communicate with each other. As soon as you have a good readership, you will find people communicating their ideas and opinions, and it would be perfect if you acknowledge them with a proper response. Since you will be promoting your posts on social media platforms; it will be much easier to connect with people. Whether good or bad, if you reply back to their questions, readers will appreciate your gesture and stay back to learn more from you.